'Tis the season – spring sports have begun. Every year, millions of school-aged children participate in sports, exposing them to the benefits of team work, exercise and perseverance; but also the risk of injury. A study from the Center for Disease Control and Prevention shared data in 2011 showing that approximately 300,000 kids under the age of 19 were treated annually for sports and recreational-related injuries. Approximately 6.5% of these? Traumatic Brain Injuries (TBI). 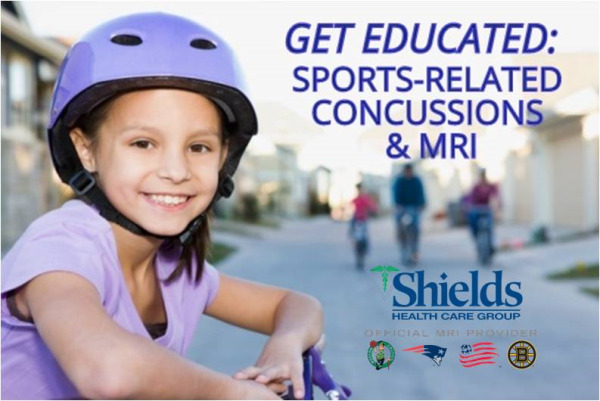 Over a ten year period, the estimated number of sports-related TBI visits increased 62%. With numbers running so high, it’s important for parents and coaches to educate themselves on types of injuries and proper treatment. What are the sports associated with TBI-related ER visits? While any sport or activity can potentially result in sports-related TBIs, they are most commonly associated with football, skiing/snowboarding, playground activities, basketball, soccer, and bicycling. What is a concussion? Concussions are a type of mild traumatic brain injury, with short-term impairment of neurologic function. They are caused by a blow to the head or body that results in the brain moving rapidly back and forth inside the skull. There are many symptoms associated with concussions, including headaches, dizziness, difficulty concentrating, confusion and sensitivity to light. Most symptoms go away within 7-10 days. However for some patients, symptoms persist for weeks, months or even years. What kind of prevention strategies should be implemented? Many sports injuries can be prevented through proper conditioning, training, and equipment. Specific to TBI or concussion, strategies can include using protective equipment (such as helmets), that fits correctly, is well-maintained and is used consistently and correctly; emphasizing safe practices and proper technique; and increasing awareness to the signs and symptoms of concussion. Brain imaging, such as a CT scan, should not be used to diagnose a sports-related concussion, and the majority of concussed athletes will not require any brain imaging. However if there are signs and symptoms that suggest a more serious injury, such as an intracranial bleed, a CT scan is the test of choice in the first 24-48 hours. Some of these more serious symptoms include seizures, nausea/vomiting, drowsiness, severe headaches and prolonged loss of consciousness. How much will an MRI for concussion cost? Prices for a brain MRI for concussion can vary widely depending on where you go. You may be surprised to learn that you can find the same quality and service for a lower price by researching or price shopping. Shields MRI offers the best technology and experience at the best price. Specialized radiologists, like Dr. Eric Schwartz, are specifically focused on MRI and ensure that your young athlete receives the best treatment possible.